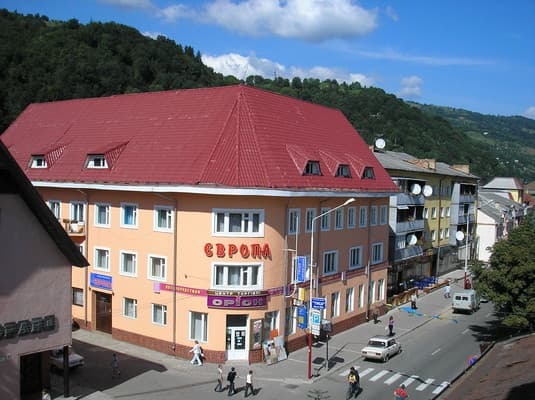 The hotel "Europe" is conveniently located in the center of Rakhiv, a 10-minute walk from the railway station. 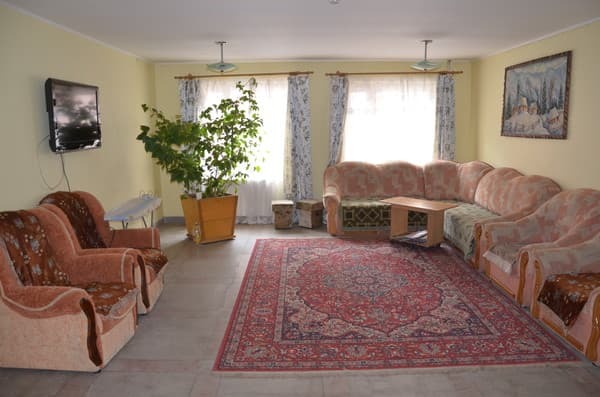 For accommodation guests are provided single and double rooms with TV, cable TV and free Wi-Fi. The rooms are equipped with private bathrooms, some rooms have balconies. There is a sauna with a swimming pool, a gym, a massage room and a billiard room. Guests of the hotel can use the services of a paid guarded parking. 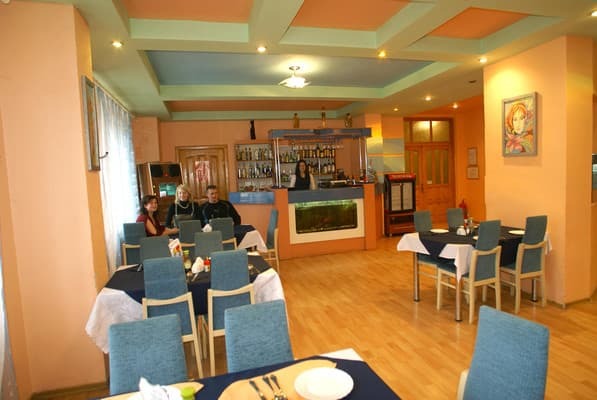 The hotel restaurant "Europe" offers a wide choice of dishes and soft drinks. 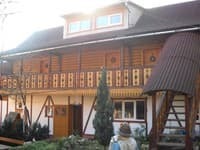 The hotel is located 30 km from the ski lifts in Dragobrat, at a distance of 45 km from the resort Bukovel. 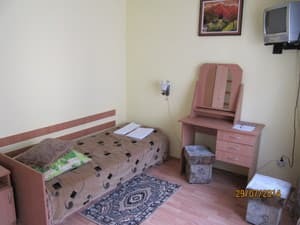 Description of the room: Spacious room with a double bed and a seating area. 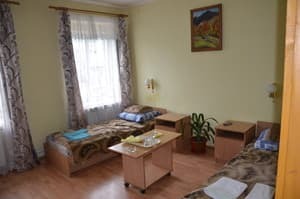 Description of the room: Two-room suite, provides accommodation for up to 4 people (2 people per room). 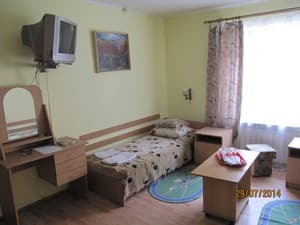 Children under 8 years without a separate bed are accommodated free of charge. On the preliminary agreement, it is possible to provide additional seats (the service is chargeable). 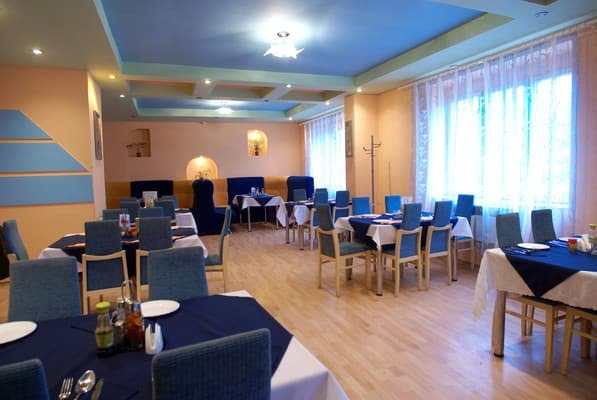 The hotel restaurant "Europe" offers a wide choice of dishes and soft drinks. 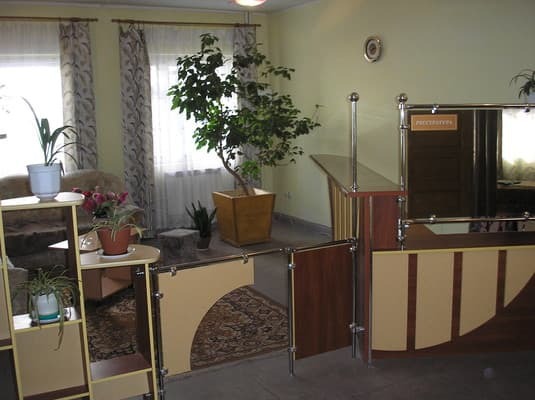 The hotel is located in the center of Rakhova, at a distance of 1.5 km from the station of the railway station.